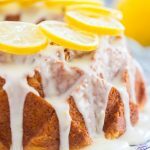 Moist and soft bundt cake, oozing with tangy, sweet lemon glaze, this bright Lemon Bundt Cake is super simple, but with bold lemon flavor! 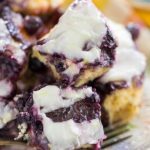 It’s sure to be your go-to dessert for spring! 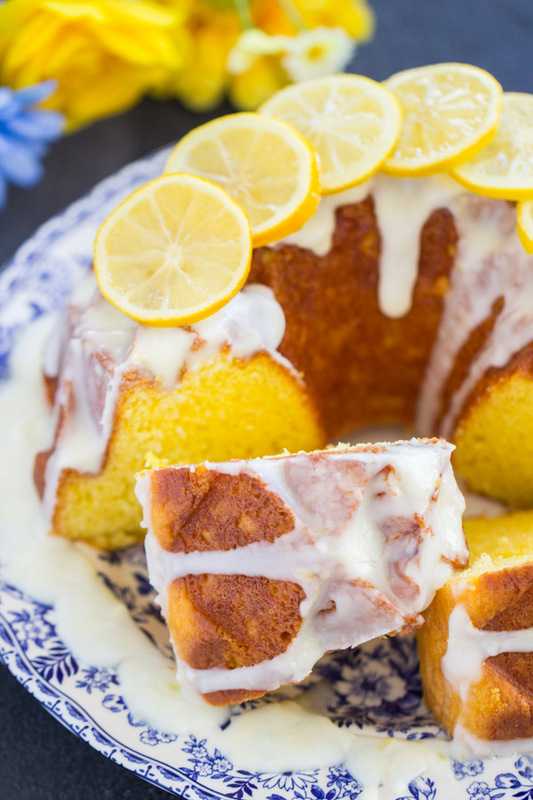 I was editing photos for this cake on the plane trip back from DC over the weekend, and I was tooooo excited about this Lemon Bundt Cake recipe, such that I ‘bumped’ it in the queue. 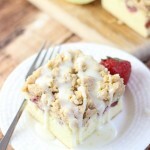 I love the cake itself, love the lemon glaze, love the candied lemon slices on top, and love the photos. Things don’t always come together like that for me, especially as photos are concerned. I rarely love my photos, let alone like them. In fact, more often than not, I dislike my photos, at a minimum, and usually kinda hate them. But these? I like. I think they turned out really pretty – fake flowers in the background and all. 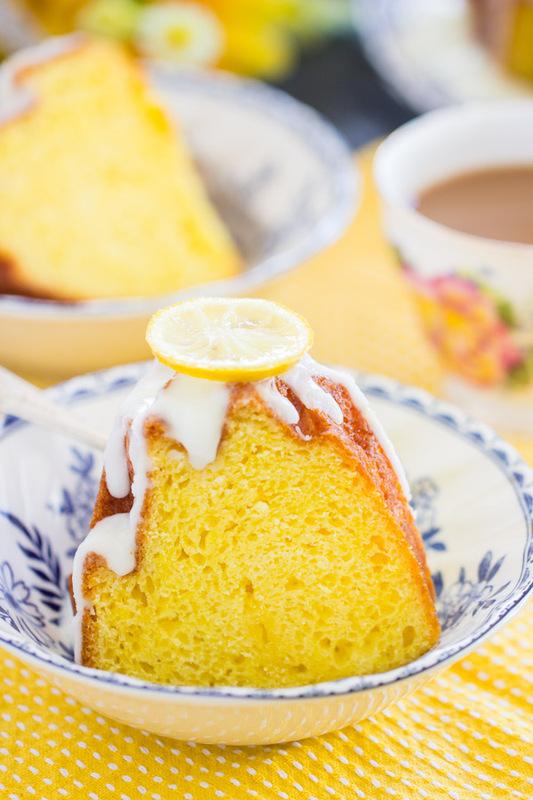 More importantly, I’m excited to get this Lemon Bundt Cake recipe to you. 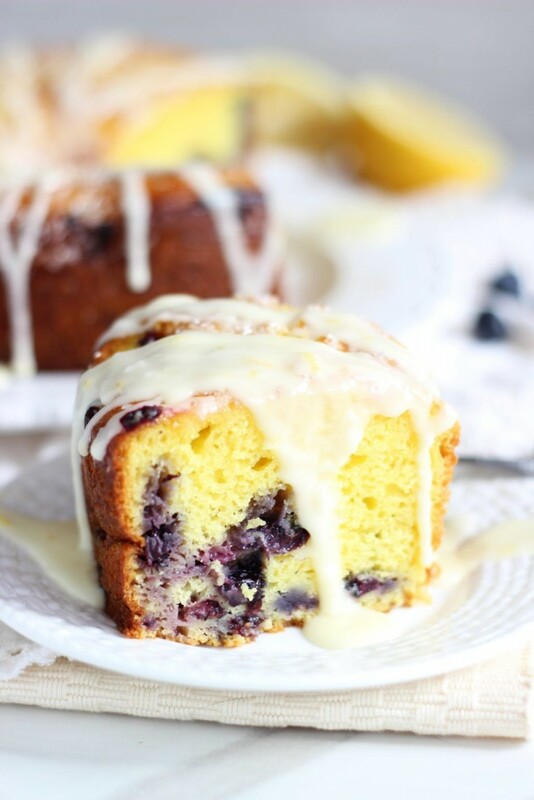 I’m sure you will see this coming, but I based this Lemon Bundt Cake from this really well-liked Lemon Blueberry Bundt Cake with Lemon Glaze. 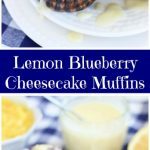 I get a lot of comments on that recipe, and it gets really popular this time of year with spring around the corner. The feedback on that cake is so positive. I have a reader that writes to let me know every time she makes it, and it’s become a staple recipe for her. When she takes it to events and get-togethers, it’s always met with great reviews. I love hearing that. If it ain’t broke, don’t fix it. 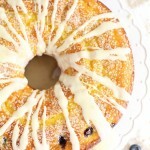 That’s why I used that Lemon Blueberry Bundt Cake with Lemon Glaze for this Lemon Bundt Cake. Both of those were actually born out of my Grandma’s Pistachio Bread recipe. 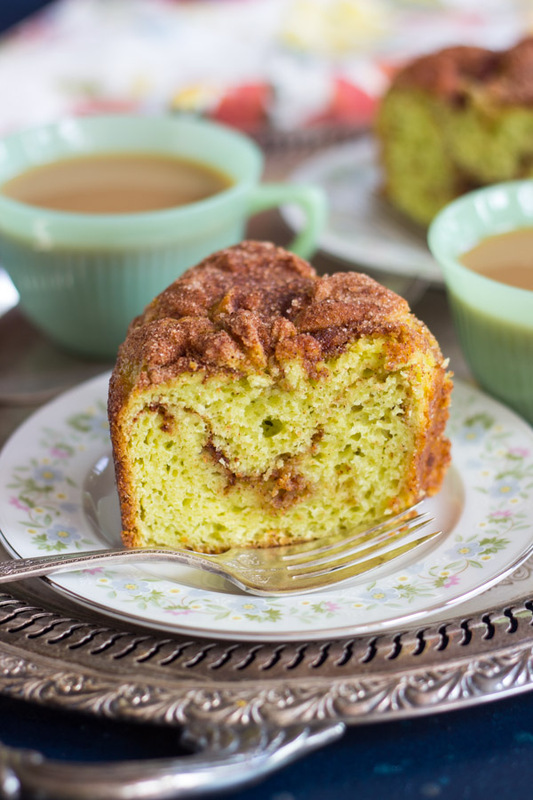 It’s called a ‘bread’, yes, but it’s really a doctored up cake mix that’s sweet, moist, and incidentally, makes a perfect bundt cake. 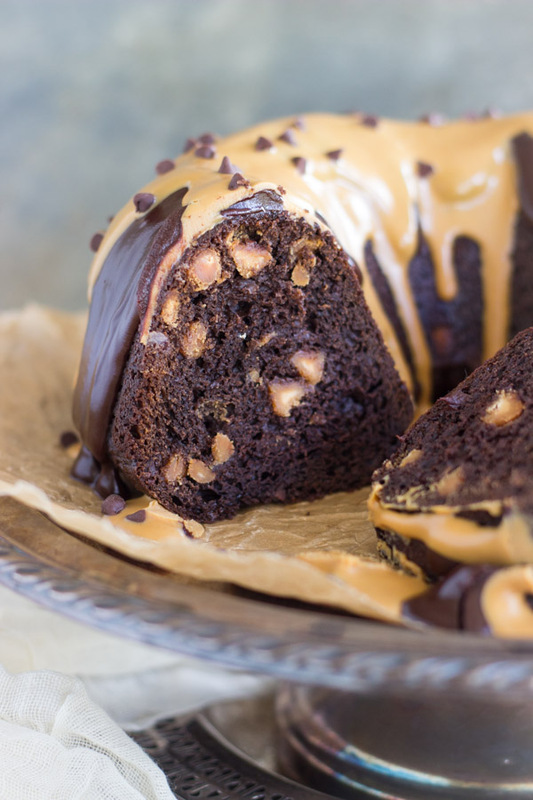 I mean, a perfect bundt cake. Dense, but moist and soft. 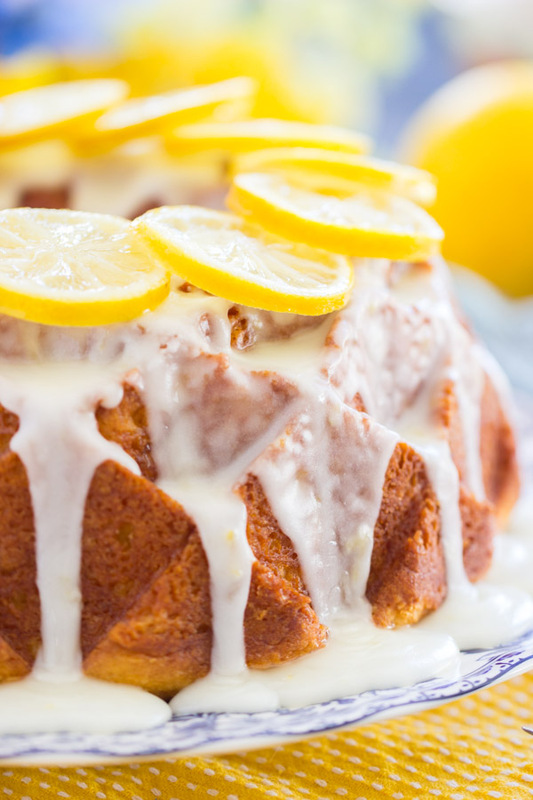 The best part of this Lemon Bundt Cake, and any bundt cake, is the glaze. 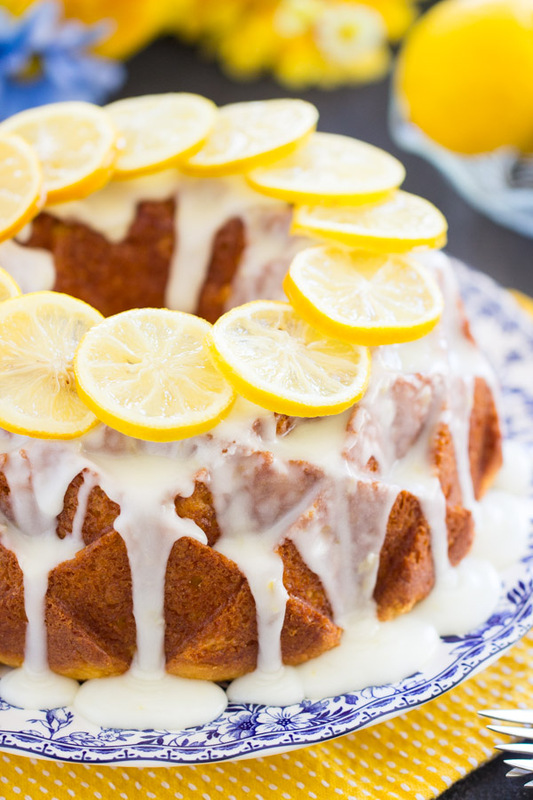 Lemon glaze is so bright, fresh, and tangy. Totally awesome combo of sweet and sour. This particular bundt cake pan (you can find this bundt pan here) is my new holy grail bundt cake pan. Those little divets? It’s like how a waffle absorbs syrup…. allllll those little pockets hold little pools of lemon glaze. Omgggg. I really like how fancy this cake looks, but it couldn’t be easier. You can skip the candied lemon slices on top if you’re in a time-crunch and/or simply don’t feel like making them. They are easy too, but take a little bit of time to make. 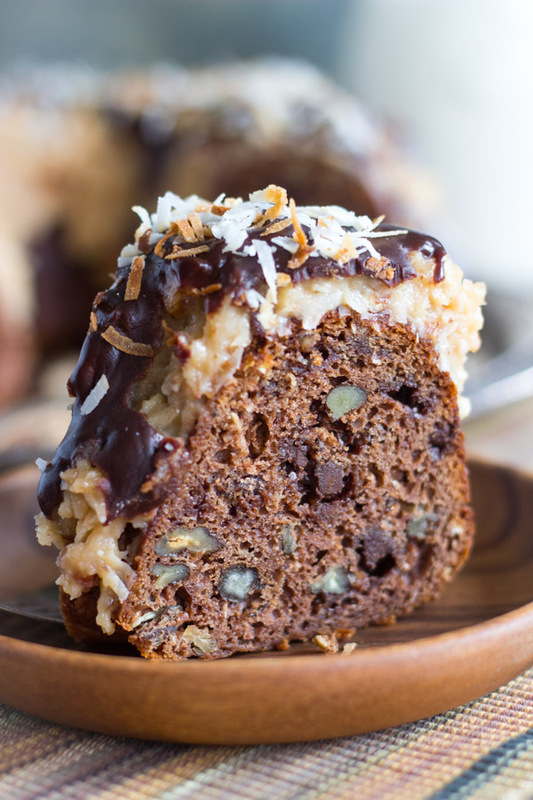 If you skip them, this cake is even more of a breeze. 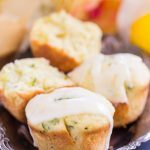 You don’t need a mixer – whoop! My friend Leslie, who I just saw in DC, loves to cook but doesn’t bake. She has a gorgeous KitchenAid mixer that’s glittery-black, and it doesn’t sit on her countertop. It’s stashed away in a cabinet. CAN YOU BELIEVE IT? For you odd ducks that store your mixer in a cupboard, and don’t want to drag it out, this is the cake recipe for you. No mixer required! 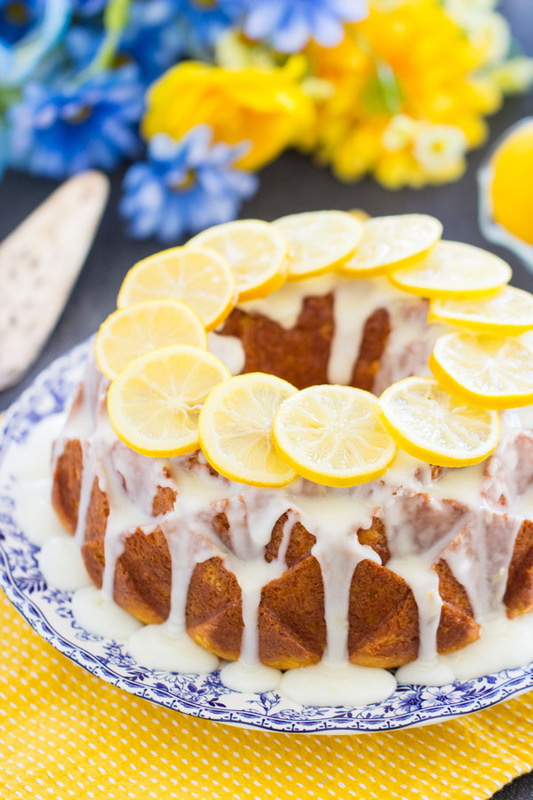 Loaded with tangy, sweet lemon glaze, made with fresh lemon juice and lemon zest, this bright Lemon Bundt Cake will be your go-to spring recipe that’s super simple, but with big, bold lemon flavor! 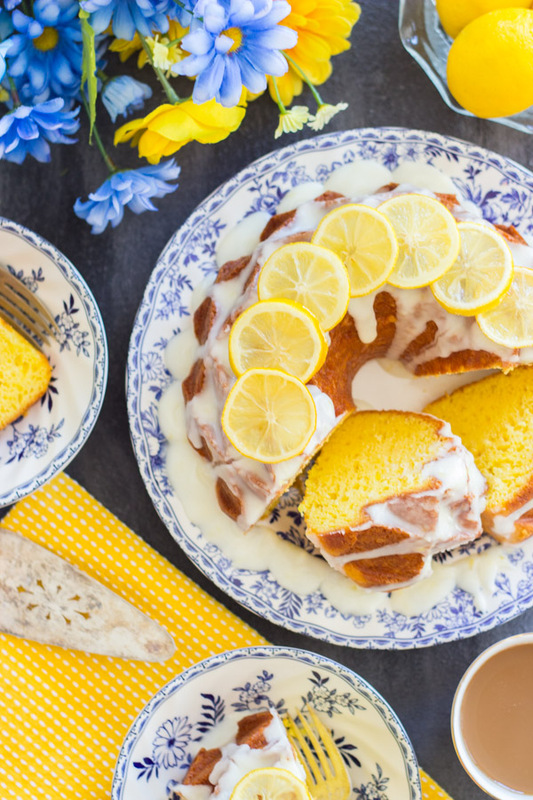 Loaded with tangy, sweet lemon glaze, made with fresh lemon juice and lemon zest, this bright Lemon Bundt Cake will be your go-to spring recipe that's super simple, but with big, bold lemon flavor. 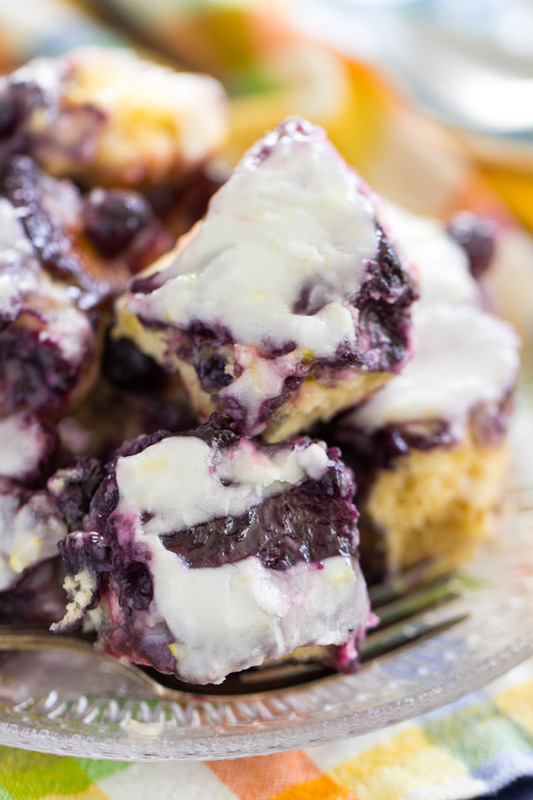 In a large bowl, stir together cake mix, pudding mix, eggs, sour cream, oil, lemon zest, and lemon juice. The batter will be thick! 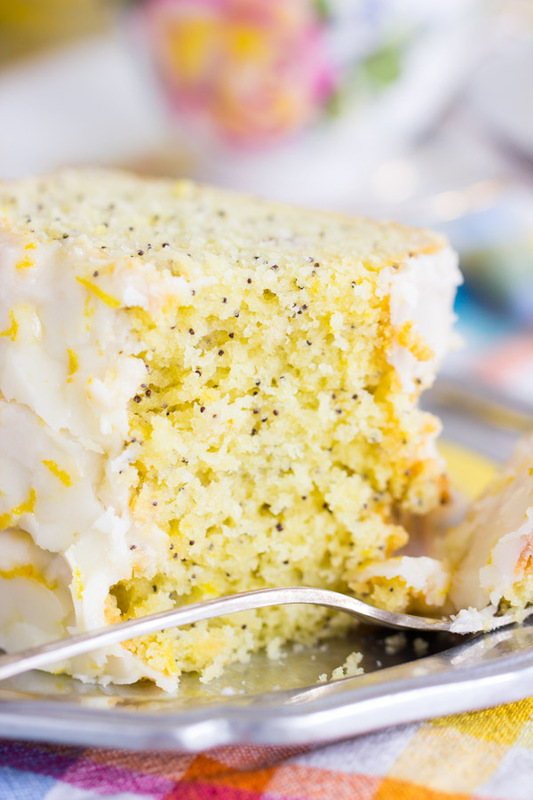 Once the cake is cool, drizzle with glaze, and cover cake with candied lemon slices, if desired.